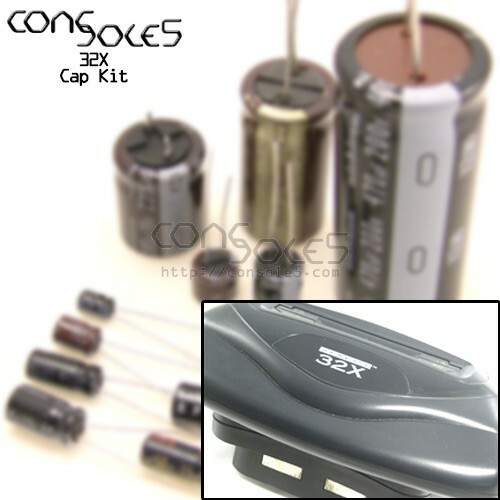 This kit contains all necessary electrolytic capacitors for the Sega 32X add-on, including a single seperated OSCON cap for use at CE18. Does your 32X make a buzzing/sizzling sound? Is the image unstable? We have a prototype repair kit for the power regulation section and are looking for good "loud" candidate 32X units for testing. Please contact us for options! For capacitor lists and maps, please see our Sega 32X Wiki page.